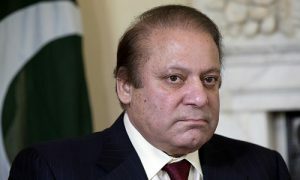 Pakistan’s Sharif Out: A New Independence? Ahmad is assistant professor, faculty of advanced studies at the University of Lahore in Pakistan, and Secretary-General of the International Movement for a Just World (JUST). He is also director of the Center for Global Dialogue. He said today: “This was largely spurred by the Panama Papers leaks with their revelations of the extent of the corruption, money laundering and offshore accounts by Prime Minister Nawaz Sharif and his family. “It was largely led by the popular PTI [Movement for Justice] leader Imran Khan who launched protests and sit-ins in the capital. And they succeeded. “This is the third Sharif government to have been removed from power. It is quite different this time since it’s not a military coup, but from a judicial process. “It would seem that it’s a new-found independence of the Supreme Court to have the courage to pursue the political class that has plundered the country. But it does seem the Supreme Court had the backing of the omnipresent military establishment. “It’s noteworthy that none of these prime ministers have served their full five-year terms in power. But the prevailing consensus now is that this is the result of a functioning democratic process. “The question now is, what fills the vacuum? The Supreme Court wants much of the cabinet, especially the prime minister and finance minister out. Will elections be called, or will there be a caretaker government?